Using public choice economic methods, this Advanced Introduction presents a focused narrative about political decision-making based on the work that has defined the discipline. Each chapter ends with a Notes section to discuss the research on which the chapter is based, with an emphasis on the pioneering work that has shaped the development of public choice. Randall G. Holcombe emphasizes the theoretical foundations of public choice, with the idea that it offers a context within which empirical research can be understood. This book successfully explores the political decision-making process for readers and ensures that they understand how preferences of citizens are aggregated to produce public policies. 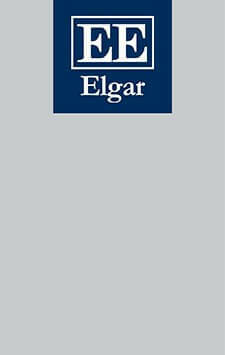 Elgar Advanced Introductions are stimulating and thoughtful introductions to major fields in the social sciences, business and law, expertly written by the world’s leading scholars. This Advanced Introduction presents a focused narrative about political decision-making ba sed on the work that has defined public choice as a discipline. Randall G. Holcombe emphasizes the theoretical foundations of public choice, examining the way that voter preferences are aggregated through democratic decision-making, the way that political exchange leads to the production of public policy, and the way that the constitutional framework within which political activity takes place is designed. He provides a concise discussion of the main models of public choice in an engaging manner, giving readers a foundation for understanding the theoretical and empirical work in the field. Each chapter ends with a notes section that discusses the research on which the chapter is based, with an emphasis on the pioneering work that has shaped the development of public choice. Undergraduate and graduate students in economics, political science and public administration will find this introduction to be an essential resource for understanding political decision making. Instructors in those fields will find this book to be a useful and affordable text and an indispensable resource for teaching public choice. ‘Overall, an Advanced Introduction to Public Choice fills an important gap in in the textbook market and has several key strengths. First, the content and style is accessible to a large audience. The book can be used in a range of college courses, and scholars and laypeople interested in the foundations of public choice will also find the book of value. Second, the book offers flexibility. The book can be read as a comprehensive whole, but each chapter also works as a standalone selection. Further, the book can be read by itself or can be paired with primary readings, with the volume providing the necessary foundation. Third, the book is affordable relative to the cost of most college textbooks, making it attractive for course adoption and general readership.